If you are considering following the strategic cost management approach, this blog is surely the best place for you to understand how it can help you with its implementation. When it comes to strategic management, it includes step by step process of strategizing, implementation, assessment, maintenance, and adjustment. 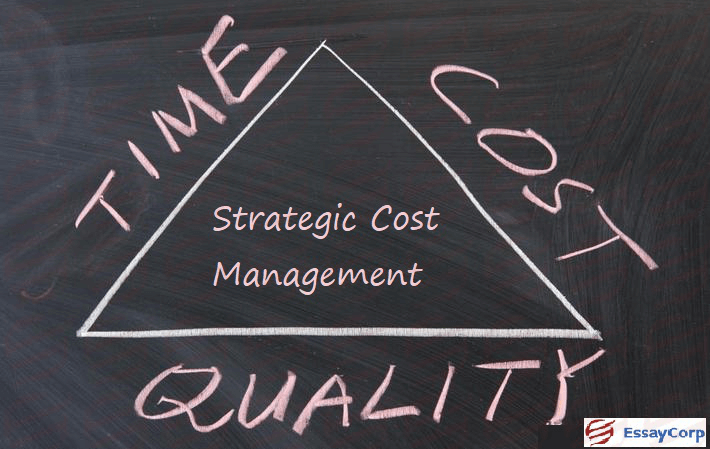 Strategic cost management plays a very important role when it comes to business organization. The complete structure of strategic cost management certainly helps in the implementation of the right to give the organization the right approach and direction to succeed. Hence, there will be no responsibility left for the board of directors of the respective organization to when the strategic management process is under execution. It is certainly one of the productive benefits of having a strategic cost management system in your company and this is the reason why most of the company follows the respective system. Well, have you ever thought about the future of your company? With the help of strategic cost management procedure, you will get the knock on your head to do it. Yes, absolutely, with this system, the senior management and board need to assess in detail about the future of the organization on regular basis. It gives them a clear picture of where they stand and what will be the result of it in the coming time. So, with the concept of Strategic cost management, you will not just concentrate on the work issue but also see the bigger picture of the respective organization. So, you will have the objective with complete clarity with the help of a strategic management system. In organizations, there are a number of departments and each department is having their own types of issues. Each department is occupied in resolving their own issue and not even bothering about the other department despite the fact they belong to the same organization. But with the assistance of strategic cost management, every single department will be taken care of with equal importance. Yes, it looks at the issues of the department from the organizational perspective and covers all the bases related to the respective issue. After assessing all the components in detail, the system will help you strategize which can be beneficial for the company not for a single department as it was done before. So, the entire organization will benefit with the help of the structure cost management system. With the help of strategic cost management system, the best benefit you will be getting is that your organization will get the best brains from the entire departments to put on their views and prepare a strategy which can generate better results. This system allows the staff and board to participate in the discussion and strategize everything as per the needs of company. From understanding the direction and what is the reason behind choosing the respective approach and associated advantages everything will be taken care off with the help of strategic cost management system. So, understanding the entire approach will help everyone to move in the right direction as needed by the organization. The most important advantage of the strategic cost management system is that it helps an organization to set an objective and also assess the success ratio. The first important thing is to analyze the present success scenario and then set objectives. This will help them to get a hold on the complete measurement of the success which they will attain the accomplishment of the respective objectives. The board and senior members will get a complete understanding of the steps which needs to be taken to achieve the set objectives and also measure success. This will give them a clear idea of the progress which will be made in the coming time with the help of the respective objectives. So, the strategic cost management system is a great way to address issues of the organization and getting it resolved to have a good look at the future. Not one department, but the entire organization will be benefited with the help of the strategic cost management. You can count on it to progress ahead!